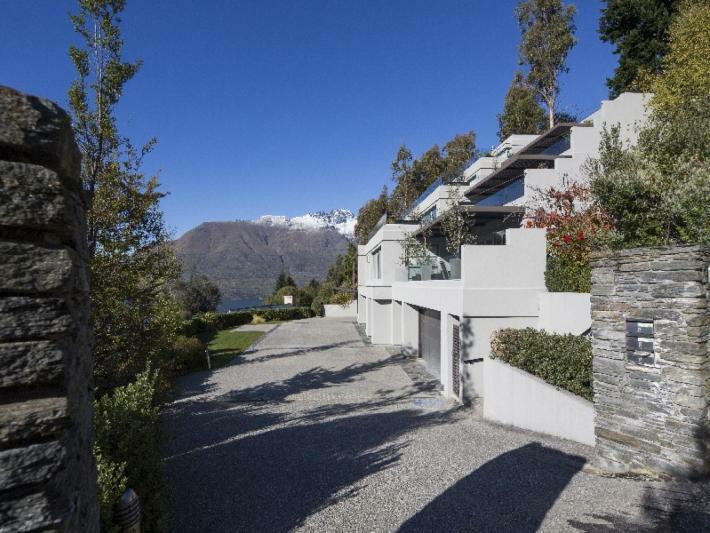 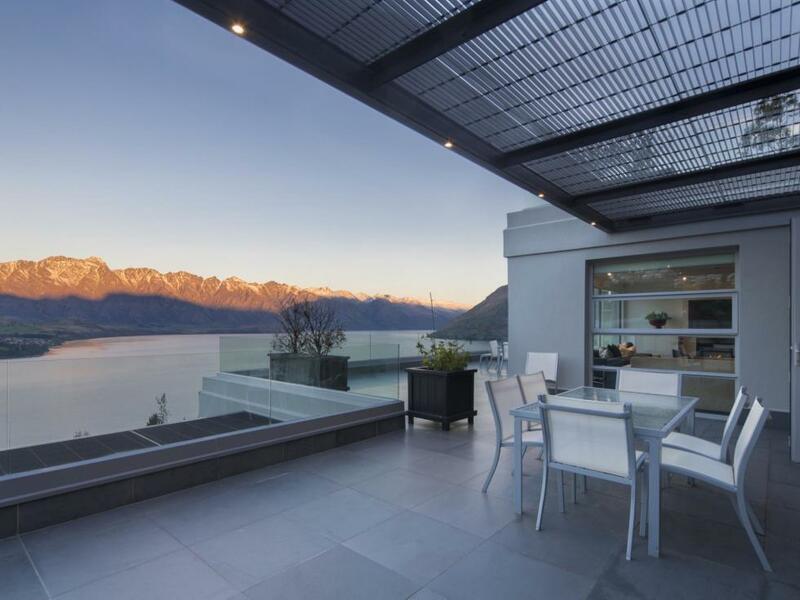 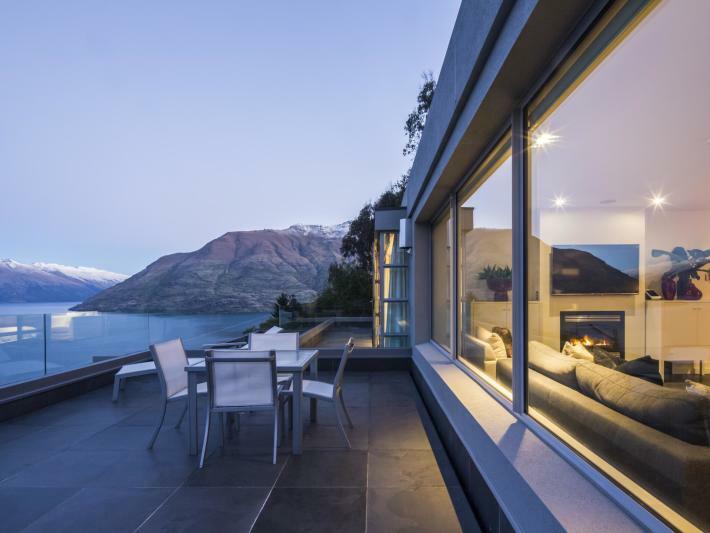 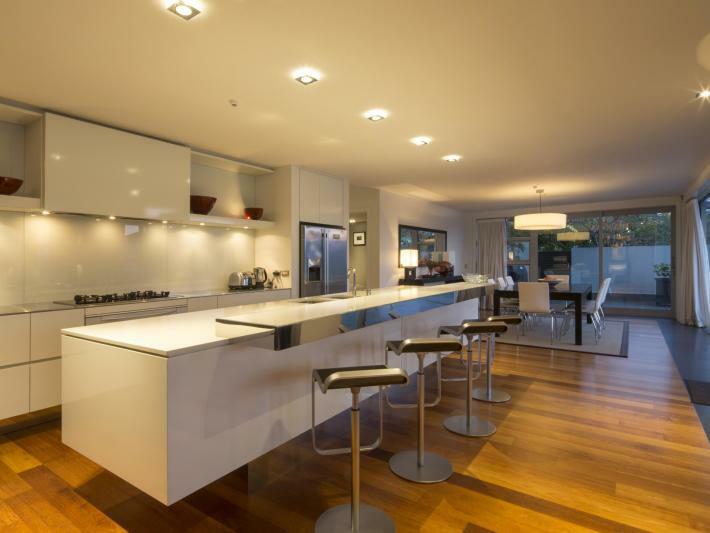 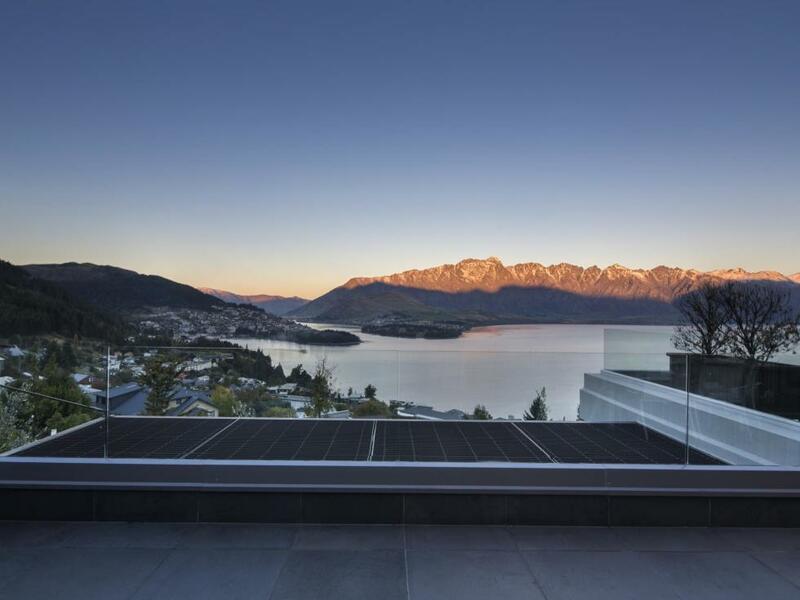 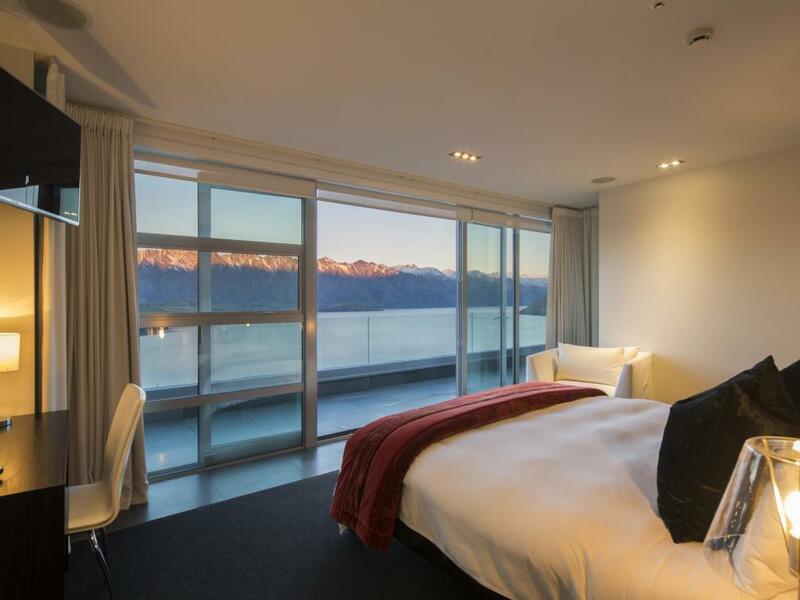 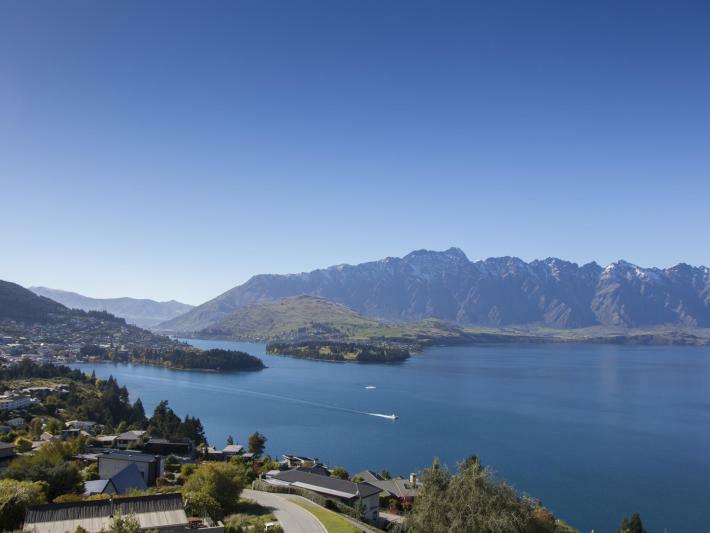 Be met by the breath-taking views of Lake Wakatipu, Cecil Peak and The Remarkables from the Lordens 2 architecturally designed luxury apartment in the renowned Aspen Grove. 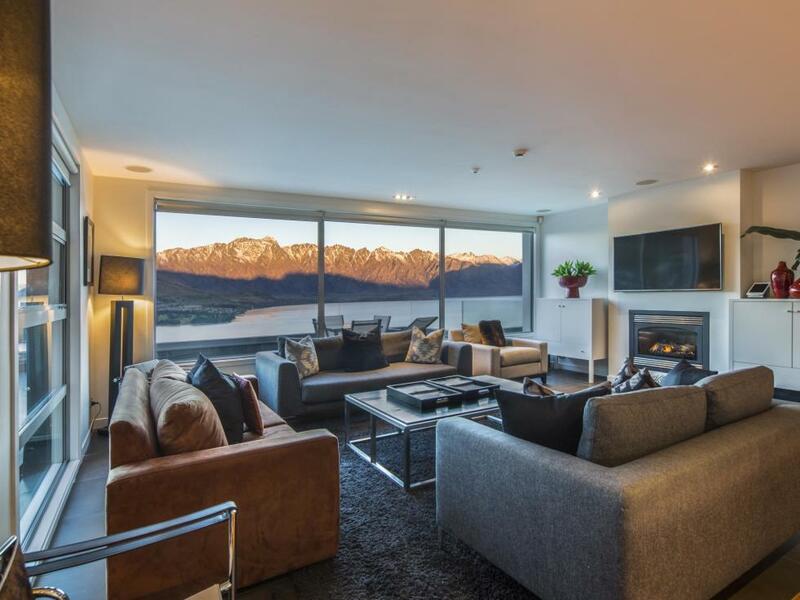 One of only three exclusive apartments Lordens 2 is convenient and stylish offering all of the luxuries and mod cons of home for your stay in Queenstown. 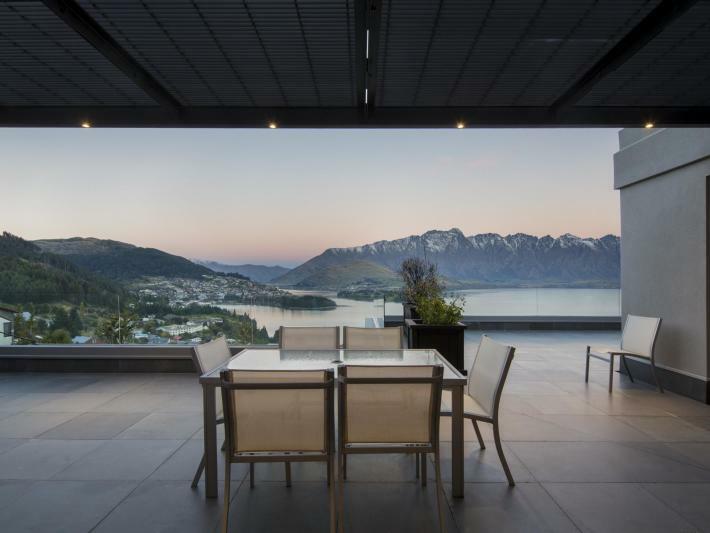 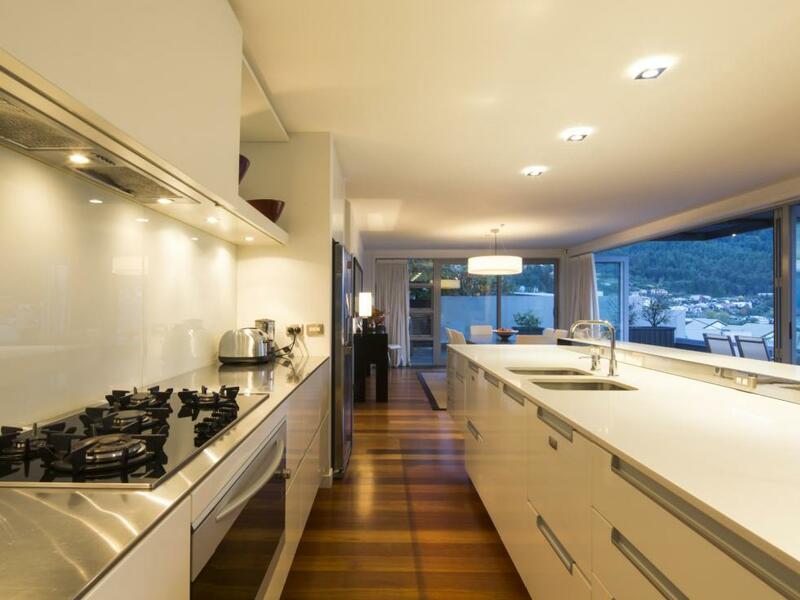 You will be in an exclusive, private location yet only a 5 minute drive from the hustle and bustle of central Queenstown. 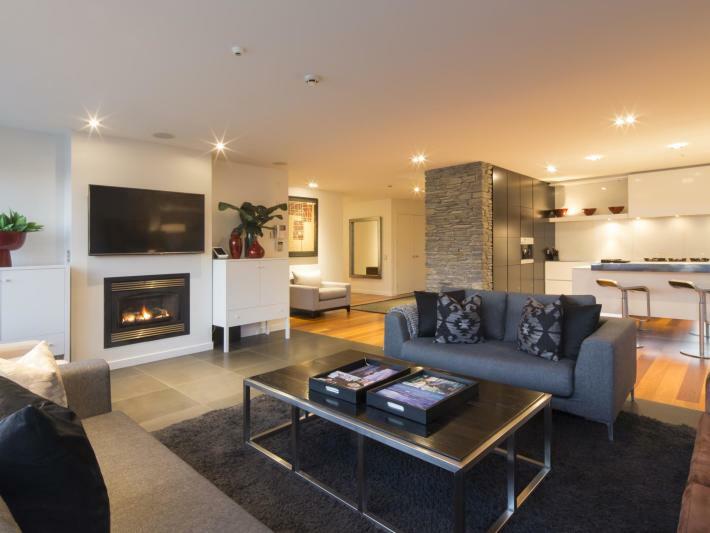 Extremely spacious this apartment is spread over one level and offers a stunning open plan living space and an extensive balcony, perfect for entertaining and spending time with family and friends. 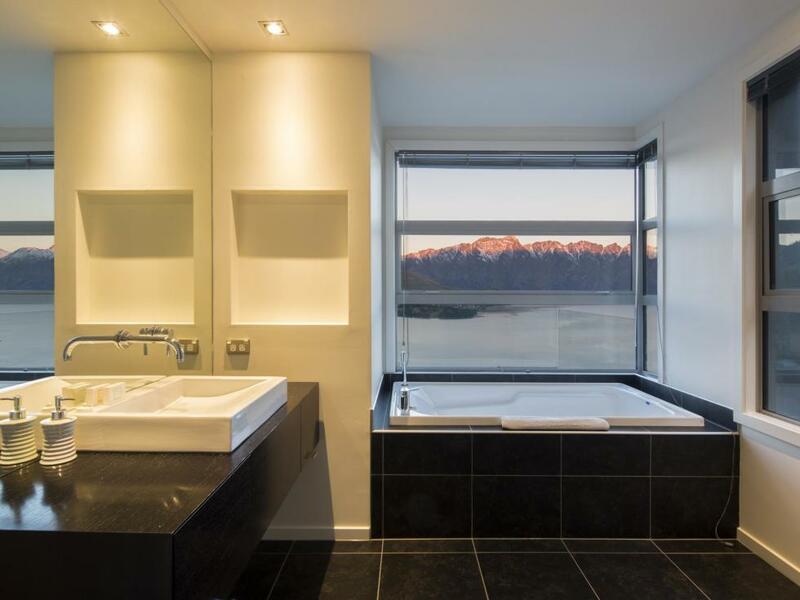 Relax and unwind in the outdoor spa pool or bath tub and take in the majestic mountain vistas. 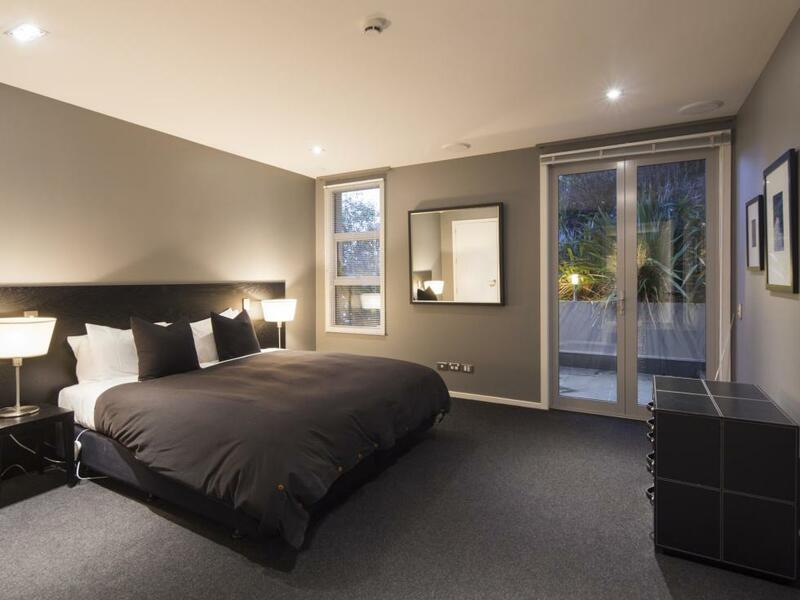 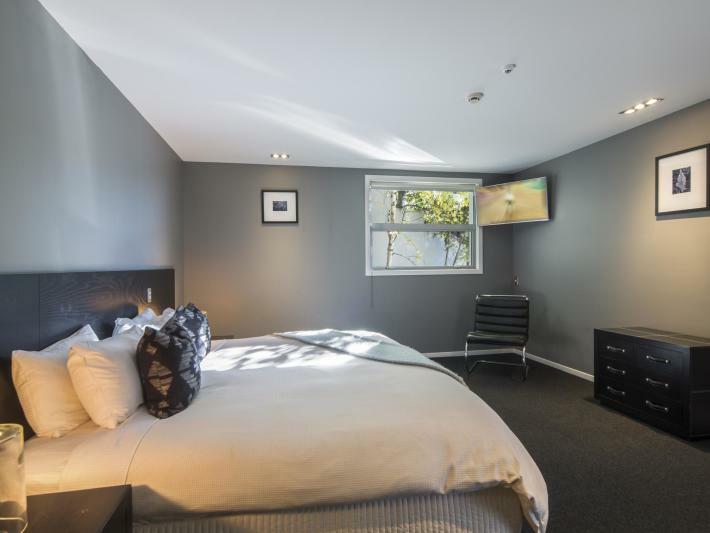 With three large double all ensuited bedrooms Lordens 2 apartment is ideal for families or groups of up to 6 people who want to stay in a prime Queenstown location.